Force is an abstraction representing the push and pull interaction between objects. 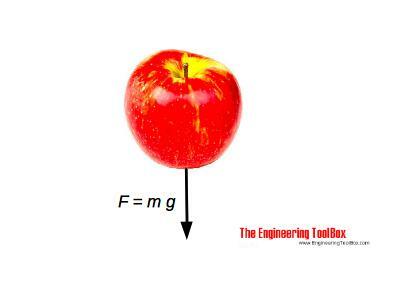 The unit of force is the Newton (N) - where one newton is one kilogram metre per second squared. The Newton is defined as the force which, when applied to a mass of one kilogram, gives an acceleration of one meter per second squared. It is common to express forces as vectors with magnitude, direction and point of application. The net effect of two or more forces acting on the same point is the vector sum of the forces. A Newton is the unbalanced force which will give a 1 kg mass an acceleration of 1 m/s2. In the centimetre–gram–second system of units (cgs) - a variant of the metric system - the unit of force is called the dyne. A dyne is the unbalanced force which will give a 1 gram mass an acceleration of 1 cm/s2. The unit of force in the Imperial or British system is the pound - lb, lbf. A pound is the unbalanced force which will give a 1 slug mass an acceleration of 1 ft/s2. "If one object exerts a force F on an other object, then the second object exerts an equal but opposite force F on the first object"
A body force is when one body exerts a force on an other body without direct physical contact between the bodies. Examples - gravitation or electromagnetic fields. Surface forces at supports or points of contact between bodies are called reactions. If there is a net unbalance between forces acting on a body the body accelerates. If the forces are balanced the body will not accelerate. Engineering ToolBox, (2005). Force. [online] Available at: https://www.engineeringtoolbox.com/force-d_990.html [Accessed Day Mo. Year].